There's nothing more refreshing on a hot summer day then a delicious ice cream cone. How about a creamy vanilla with sweet chocolate chips on top? I can just taste it now! There's joy in every scoopful of Lovin' Scoopful Gourmet Light Ice Cream – 13 rich and creamy flavors with 1/2 the fat and fewer calories than premium ice cream. Plus 25% of profits are shared with Special Olympics and other causes. So go ahead – get a little Lovin', give a little lovin'. I just love those fun and creative ice cream names and the flavors sound delicious as well! 1. I will be picking TWO (2) winners for this contest. 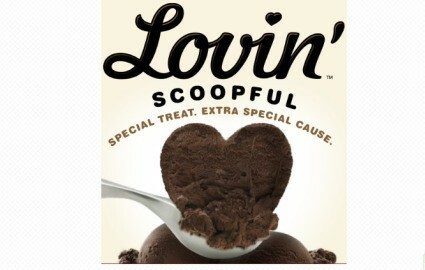 Two winners will win a coupon each good for a free Lovin' Scoopful product. Winner will be chosen on July 31, 2011 at 10 pm and then will be emailed. Yummy cake and cookie dough. I want to try the so good cookies n cream. I would love to try Mad About Mud Pie!